A bat, a ball, and a dog. 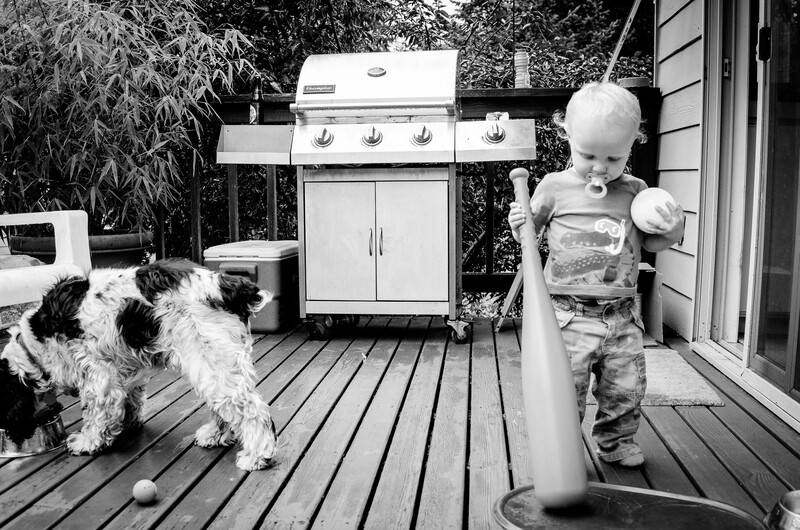 A little boy with his bat, a ball, and his dog. Something tells me I’ll be seeing more of this combination.